Important. More than almost any other type of baseball equipment, you definitely get what you pay for with an infield glove. Better leather makes a better glove. Inexpensive gloves that use cheap leather or even imitation leather can be so weak that balls won’t even hold in the glove and it could be much more difficult to even catch a baseball. The best infield gloves use strong, good quality leather that helps the glove keep its shape longer, and makes the glove overall more durable. Buying one nice glove will last longer and play better than several average to below average gloves. If you are unsure of what size infield glove is right for you, check out our guide to Baseball Glove Sizes, which includes a glove size chart. Your ideal size will be a combination of what position you play and personal preference. Each company has their quality and top tier gloves. Deciding on a certain company is personal preference, but the following companies make the best infield gloves in the business, and I’ll help explain some of the differences between them that might help you choose which is right for you. Wilson is a great glove company with 2 models on the Best Infield Glove list: A2k and A2000. Their gloves on the whole have a quick break in period. The natural creases on the glove make it easy for the glove to close properly, and they feature a shallow pocket to make it easy to move from glove to hand to make the awesome defensive play. Glove break-in… Some glove companies require a little more know how when breaking in a glove. Wilson makes it easy for you. 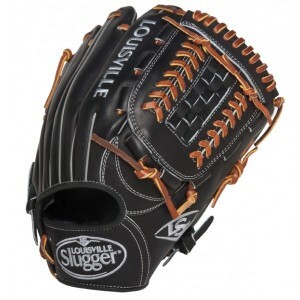 Their leather can get soft quickly, which can be good or bad depending on how you like your glove. I personally use these gloves, and I’m very happy with them. A2K series – $350 If you love Wilson gloves and want to try their top tier glove go for their A2k series. They hand select the top 5% of leather that they receive and make their highest quality glove. A little longer break in time than the A2000 series gloves but they last a long time. A2000 series – $240 Is entering its 55th year. Along with the A2k, this glove is also used by many major leaguers. They are constantly making improvements but you will get nice leather, quality fit and a fairly quick break in time. Better yet, this glove will not break the bank but it will give you good quality. Smaller hands – If you are looking for a quality glove for smaller hands, the A1K models of the A2000 might be what you need- smaller wrist opening combined with narrower finger stalls. These are great for younger kids since most companies offer sub-par leather to people with smaller hands. Probably the most trusted name in baseball gloves. Glove break in time… As you get better leather and a more expensive glove the break in will take a little longer. But it will also last much longer. Rawlings gloves are known for keeping their thumb and pinky area of the glove firm even when the glove is fully broken in, which is ideal. Once you lose shape with the outside of the glove, you will lose overall strength. Some people think the Heart of the Hide series leather gets a little too soft, but the Pro Preferred series is an extremely popular glove. Gold Glove Collection Opti-core – $499 Rawlings most expensive glove series. Hand sewn, supple and strong leather. 80% player break in, so it should last a long time. Also, comfort is a big differentiator. The premium palm lining should give the best the fit and feel of all the Rawlings gloves. Each of these base its own individual serial number signifying the maker, the date created and the glove’s production number. Pro Preferred series – $350 If you like rawlings and like the heart of the hide series or want to try the next level of glove go for a pro preferred glove. This glove is made from Kip leather which gives you a fairly quick break in period with very good durability. This glove will hold its shape and break in nicely. Used by many professional infielders. mesh back– is offered on the back of some heart of the hide series gloves. This makes the glove lighter and break in quicker. You will sacrifice a little overall durability because the mesh is not as strong as leather. Pro stock Heart of the hide series – $250 This glove series is very popular and is made from their top 5% of their pro stock leather. You will not go wrong with this series of Rawlings. The durability is not as good as their 2 elite gloves but it won’t be enough to effect your play. Some infielders like using a well shaped, strong, broke in glove and that is what you will get with this glove. Heart of the Hide Series, Pro Mesh is offered on the back of some heart of the hide series gloves. This makes the glove lighter and break in quicker. You will sacrifice a little overall durability because the mesh is not as strong as leather. Where to Buy: You can find these gloves at Rawings Gear of course. Also, Baseball Monkey has a very good selection. Katsu Series – $250 Is made from professional quality Senmonka Japanese leather. Their exclusive tanning process tightens and compresses the fibers in the leather allowing for more strength and durability in this high end model glove. This glove will require more break in time. Pro flare series – $199 They use top grade oil-infused Horween leather that will give you an average break in time, but give you great durability. The flare series is unique in that it is formed to give you a larger catching surface. Extra wide and durable lacing makes this a nice quality glove that is not too expensive. HD9 Series – $109 is a hybrid combination of oil treated steer hide leather and performance mesh. The mesh backing allows for quicker break in and a lighter feel. However, with any mesh backed glove, durability is not as good as a full leather glove. 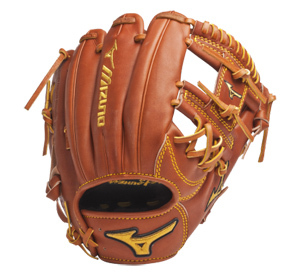 Pro Limited Edition series – $500 This is the elite glove for Mizuno. Each are made from Japanese tanned Deguchi leather which is soft, flexible, but extremely durable. Mizuno also claims this glove is perfectly balanced to enhance a players optimum reaction times. Mizuno prides itself on listening to feedback from their pro guys who use this model (Juan Pierre, Scott Rolen, Alfonso Soriano, Clint Barmes, Brandon Wood, Matt Cain, Ichiro Suzuki, Hideki Matsui) to design a better glove. Also, they have “4D advanced” tech which keeps the glove strong but makes it so the fingers can move independently more easily. The Pro Series also comes with an Off Season Reconditioning Program. This allows one complete reconditioning during the life of your glove, to restore it to it’s original “Like New” condition. The global series gloves are less stiff and lighter than the Pro series. The entire Global series differ on leather type and conditioning. The Jinama series uses Japanese leather for extreme durability. The Elite VOP is put through a Vibration Oil Process to make them softer and more durable than the original Global Elite series. We looked around and found that Baseball Express and Baseball Monkey have a decent selection of these gloves. 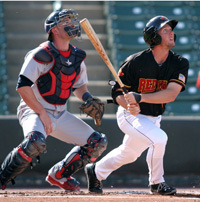 Baseball Express – 30 day returns; Free shipping on glove or bat purchases; Free Shipping on all orders over $99. Build a custom glove. Amazon – With Amazon Prime, they offer Free 2 Day Shipping; 30 day Return Policy. Hi Doug. I am a baseball player trying know which glove is better, the Wilson A2000, the Mizuno Pro, or the a rawlings. I’m a infielder. I like flexible gloves so yea. Hey, I’m a pretty serious baseball player and looking to buy this glove (shown here: https://www.baseballbargains.com/product-category/gloves-cat/), its a Wilson A2000 DP15, thanks. 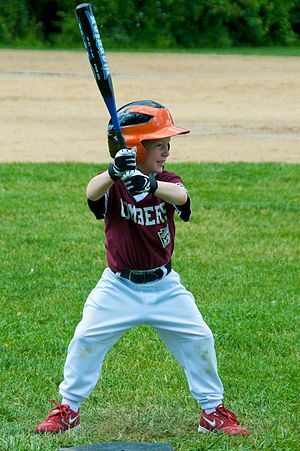 My son (10) uses a LS 125 series (not the best quality, fyi) 11.25 now, playing SS and 2nd. Do you recommend staying in a small glove as long as he can? I got him an A2000 11.25 for the next couple years (I assume it lasts). Thanks. 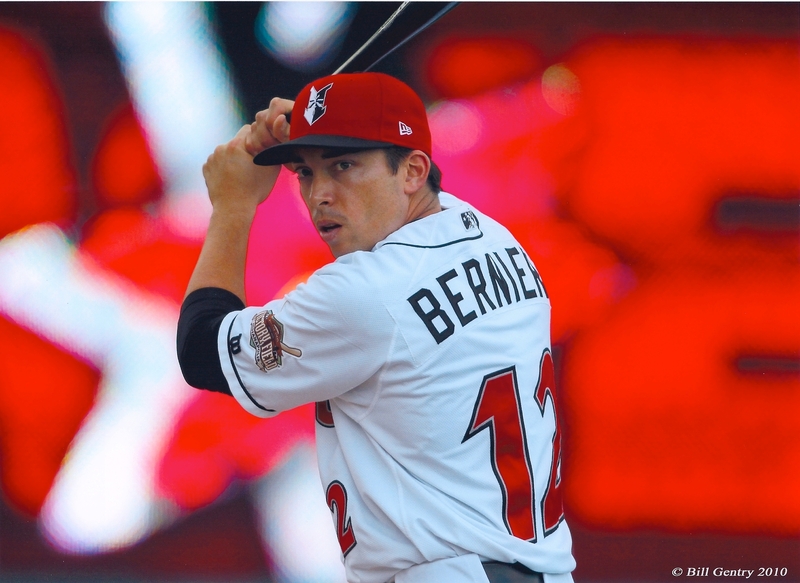 Is it okay for a middle infielder to have a T web glove? Which web is better Pro-H or Pro-I? 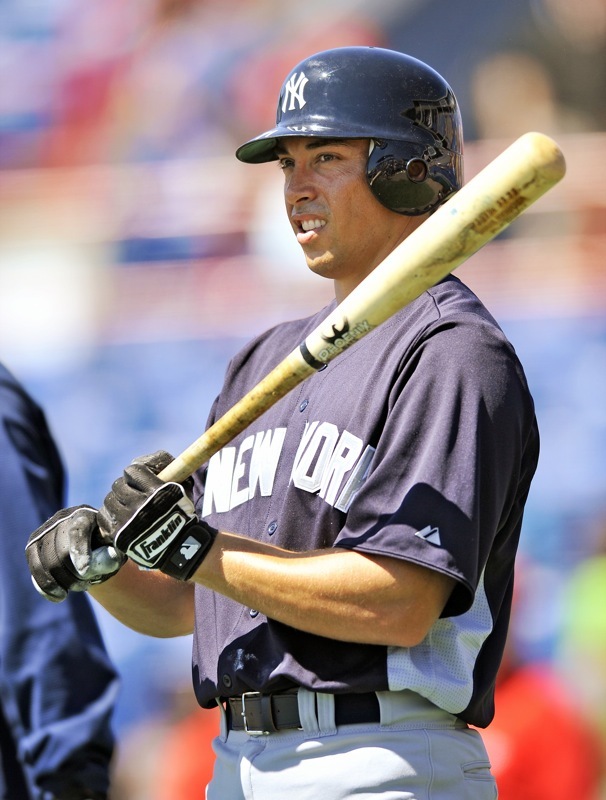 For a second baseman, does it matter if you use an H-web glove or an I-web glove? I have seen them both on pros, but mainly the I-webs, I happen to like the look of an H-web better. Hi Julian. Great question. According to Doug, the different web types are more for looks than function. So feel free to go with the one that appeals most to you. The glove I use right now is about 5 years old. Its a louisville TPX pro series 11 3/4 that I use for shortstop and third base. I have a 11 1/2 I use for second base. 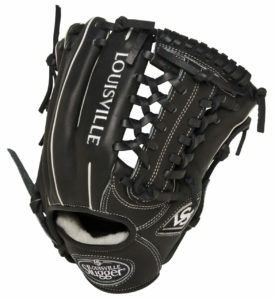 Since louisville is not making gloves anymore (they were bought out by wilson) I started using Rawlings as my backup. I use a Rawlings pronp5pro 11 3/4. I used wilson for a year or two and i liked the A2000 better than the a2k because the a2k got too soft too quickly for me. I like how the A2000 held its shape and I could use it much longer. What glove do you use right now? Wow, thanks for giving me some info on Nokona. I looked at their gloves years back and didn’t like them much. I also knew they used to be more geared to softball. I will have to take a look and check them out for myself. Thanks for letting me know, Im anxious to try one out. 100% Agree! I have Nokonas for the my fielder’s glove and first base glove (couldn’t justing the price on my more rarely used catcher’s mitt) and love them. Fantastic company with first rate service. I’m looking for a new glove and I can’t decide over a Rawlings revo solid core 450 trapeze basket or a web basket. Do you know if there is a difference in the webbing? What a great site! Thanks for taking the time to do this, you’re a natural at explaining things. I came here to look for tips on positioning as a shortstop during relays since I never got those fundamentals growing up. I was just looking on your glove section and had to notice that there is nothing on Nokona. I’ve got an 11 1/4 “Turf” (the Bloodline, but in black). The thing is bomb proof and beautiful, and its made by hand in Texas. I’m curious if you’ve ever played with a Nokona, and if so, why it didn’t make your list. Thanks, and thank you for the positioning tips, this site is a great resource! I love this website as it has given me some great tips and recommendations! Great Job! I just purchased a Pro Preferred 11.25″ glove. Can you give some tips on how to break it in? Some people say steaming it is good, while some say it damages the leather. Same thing with soaking it in hot water and using shaving cream. What do you think? Great information. I am a little league coach. Thanks for your information that I can pass on to my kids. 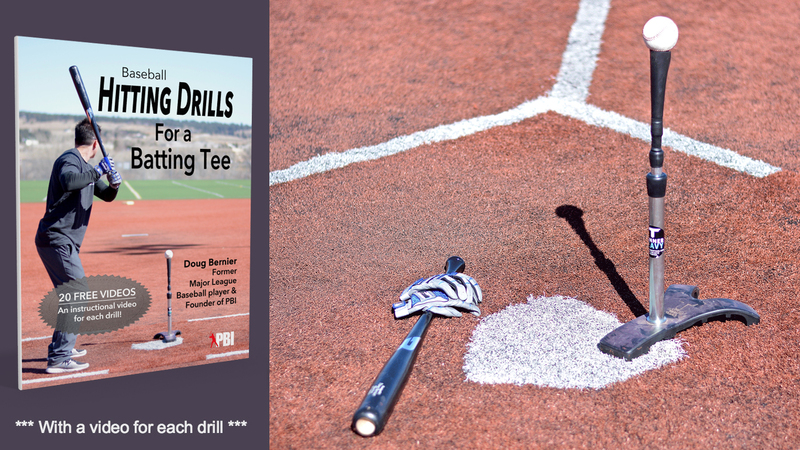 Real life experience, put into training drills, is worth alot to the baseball world. I promote Nokona gloves due to their quality. I let the kids know that this is not a transitional glove, meaning size to size as they grow older, but a glove that they will use the rest of their lives. What is your opinion of Nokona, should I look to a different brand for the kid’s information? Thanks for your time. Thanks for your comment. I am glad you have been able to use our information to pass on to your kids. I haven’t really seen a Nokona in a few years. The last one I remember seeing was very thick, fairly heavy, and wasn’t very sleek looking. It had a different feel than your typical baseball glove. I am not sure if they have changed their design but I have never used their gloves and haven’t seen too many people college age and above using their gloves. They may be marketing to younger kids, but I personally like to stick with the rawlings, louisville, wilson gloves. For me its personal preference and that is what I have used my entire life. I don’t want to sound down on Nokona but when you look at what the best players in the game are using, they aren’t using Nokona. I hope this helps and thanks again for enjoying our site.